The Rebel Sweetheart. : Foodie Goodie | Tous les Jours Brownie Mix. Bet you didn't know the French-Asian bakery chain Tous les Jours have brownie mixes too, huh? I wasn't aware either, until I received this big basket of goodies last Christmas. 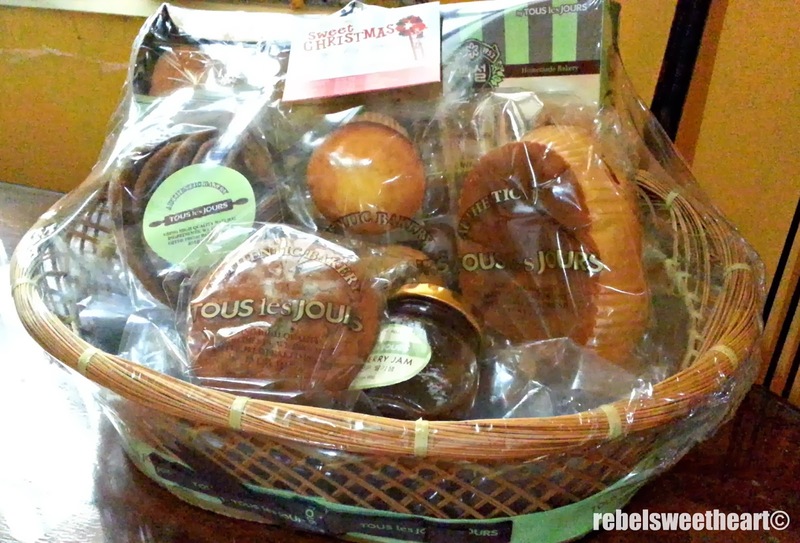 Tous les Jours Christmas Gift Basket! They were sent to me by Tous Les Jours Philippines (thank you, TLJ Ph!) and inside were an assortment of their artisan cakes (Mini Castella, Mini Chiffon Cake, Cream Cheese Muffins, Chocolate Chip Cookies, Blueberry Muffin), a bottle of Strawberry Jam, and a box of Brownie Mix. Tous les Jours Brownie Mix. Unlike other brands of brownie mixes (as in the ones that we usually see at supermarkets) which requires you to add oil or eggs or milk or sugar, this one just needs water. 1. Mix the TLJ Brownie Mix with 55ml of water in a mixing bowl. Stir until there are no lumps. 2. Put the mixture in a baking pan. 3. Bake it for 3 minutes and 30 seconds in the microwave. If you're using an oven, set it to 180°C and bake for 6-7 minutes. 4. Let it cool for at least an hour. Slice and serve. 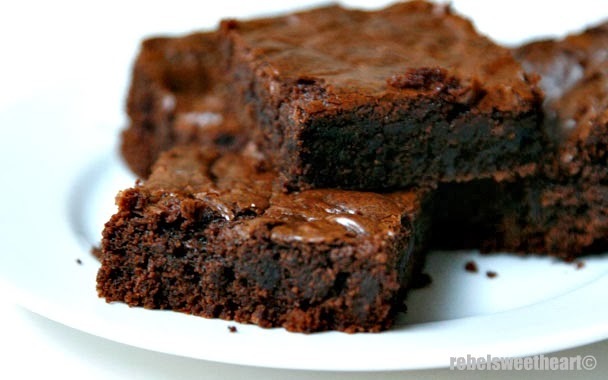 Tip: For fluffy and moist brownies, use 70ml of water instead of the usual 55ml. The TLJ Brownie Mix sells for Php248 per box, available at Tous les Jours stores in Metro Manila. This is the first I have heard of this brand, but they sound delicious! I love that there are so many different mixes, and of course, the fact that you only need to add water! They looks so tasty and easy to make!! I love anything that cuts my kitchen time immensely! It sure does look fantastic. I will have to look into it. Wow!It is my first time to encounter a mix without eggs. Will try this sooner. Brownie mix where you just add water? Where, how much, and why haven't I heard of this before?? yup, didn't know they had one of those! lol. thanks for the heads-up! kinda pricey, though. but am sure it tastes delicious! yummmmm!!! i sooo love this too! but a brownie junkie like me says this is good for 1-2 persons only LoL!